Blanche Tilden’s work is featured in the 2017 Tom Malone Glass Prize, Luminous: 15 Years of the Tom Malone Prize at the Art Gallery of WA until 25 June. 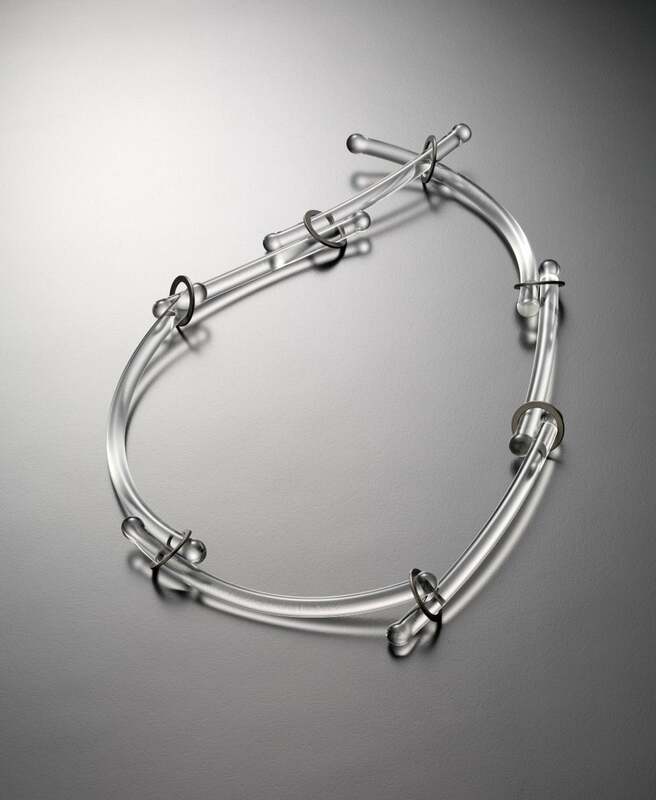 Her 2016 necklace Flow 03 is also featured in the new issue of New Glass Review from the Corning Museum of Glass. New Glass Review is an international juried selection of the 100 most innovative works created during the previous year in glass across art, architecture, craft and design. An important early work, Short Conveyor, is now on show at the National Gallery of Victoria as part of their new exhibition Every Brilliant Eye: Australian Art of the 1990s, until 1 October.